An exceptional home with one-of-a-kind features deserves a marketing strategy that goes above and beyond traditional real estate marketing. We combine tried and trusted luxury marketing techniques along with custom a la carte marketing strategies designed to showcase your home and its elegance. 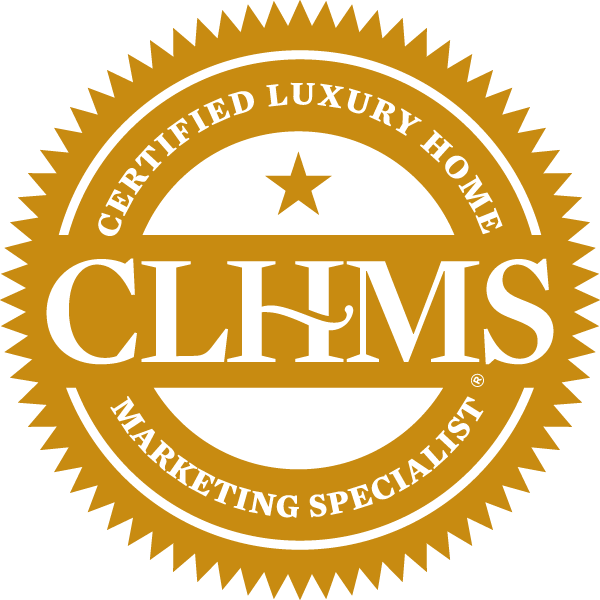 The Certified Luxury Home Marketing Specialist® designation from the Institute for Luxury Home Marketing is recognized internationally in the real estate industry as a mark of excellence. We proudly hold the CLHMS designation, reserved for the top 10 percent of luxury agents. It is a certification that can only be achieved by excellence, experience and top performance. We want the style and craftsmanship of your home to stand out above the rest. We will hire a top area real estate photographer to take stunning photos and aerial drone footage that highlights your home and property. We will place Keller Williams Luxury Homes International branded sign in front of your home and wherever necessary to attract attention of passersby. When we list your luxury home, we work diligently to place it in front the right audience. Not only will we place it on the multiple listing service (MLS), but we will target buyers by listing it on more than 76,000 real estate websites and marketing it to a network of more than 133,000 agents. Your listing will also reach luxury buyers through multiple luxury listing sites, as well as on international sites like Proxio and WorldProperties.com. Your home will receive its own website, complete with detailed information about your home, photographs, video and more to attract online buyers. We will design eye-catching postcards and brochures, printed on glossy cardstock, to encourage prospective buyers to schedule a showing to view your home. Your home will also be featured in luxury home magazines that reach a large base of buyers. We know each home has unique attributes, so we will take care to customize a luxury home marketing plan that suits your home and puts it in front of the right potential buyers.